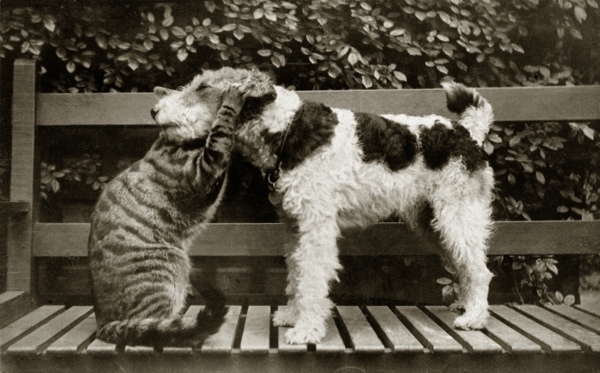 Between 1966 and 2006, Libby Hall collected old photographs of dogs, amassing many thousands to assemble what is possibly the largest number of canine pictures ever gathered by any single person. 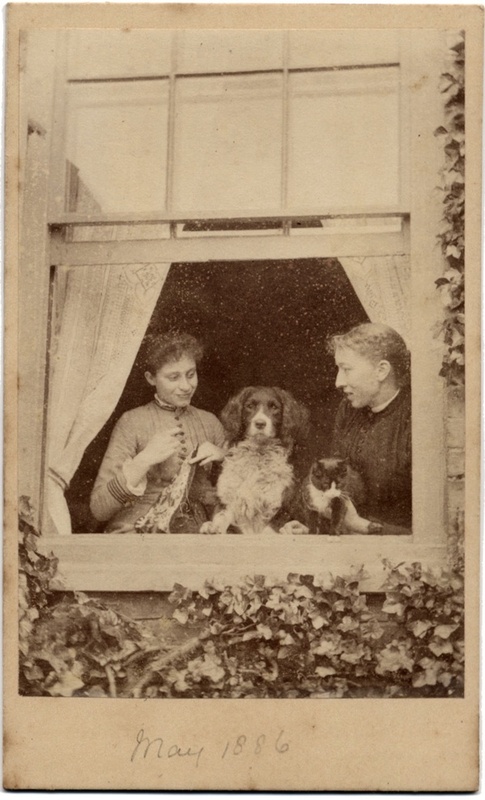 Libby began collecting casually when the photographs were of negligible value, but by the end she had published four books and been priced out of the market. 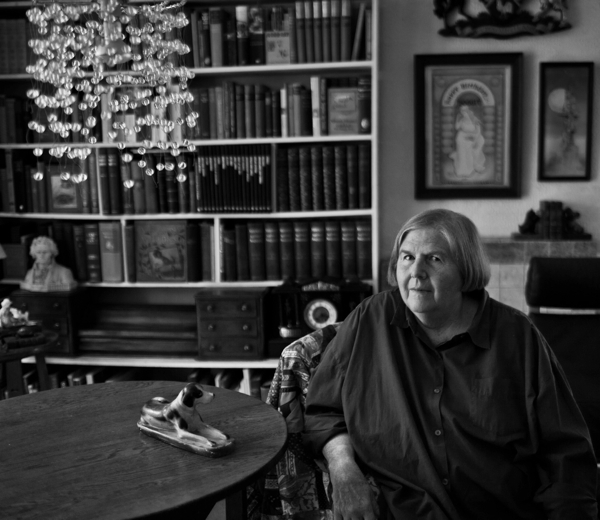 Yet through her actions Libby rescued an entire canon of photography from the scrap heap, seeing the poetry and sophistication in images that were previously dismissed as merely sentimental. And today, we are the beneficiaries of her visionary endeavour. A joyful iconoclast by nature who has recently had, “Stop! 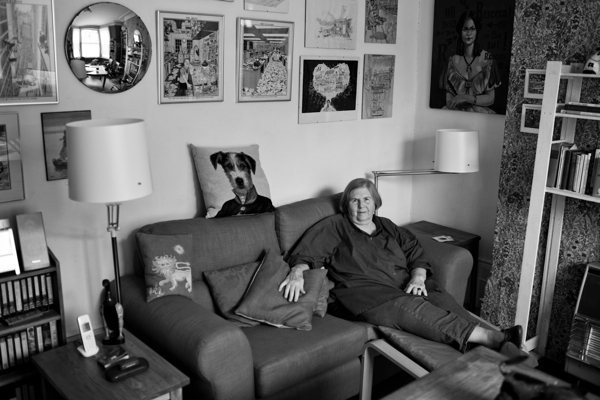 Do not resuscitate, living will extant,” tattooed on her chest – Libby Hall is a born and bred New Yorker originating from the Upper East Side of Manhattan, who moved into her house in Clapton in 1967 with her husband the newspaper cartoonist, Tony Hall, and has stayed ever since. 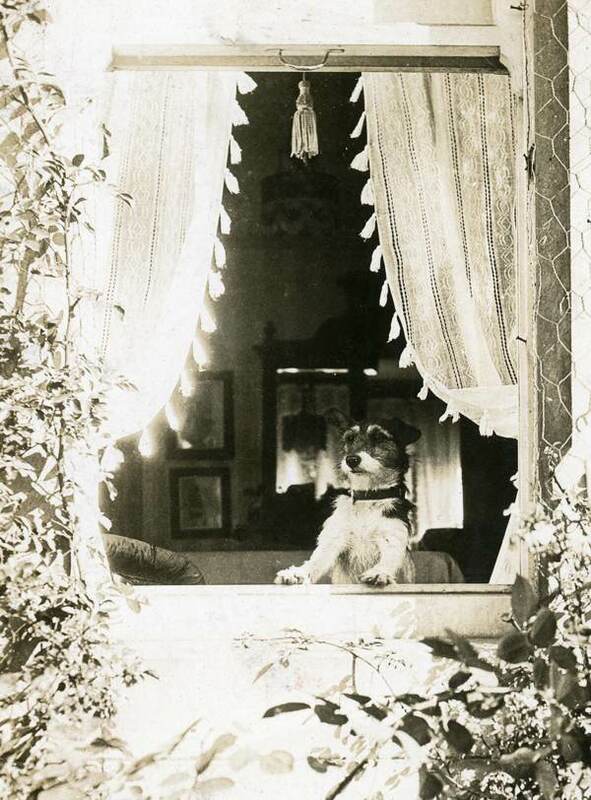 We spent an enjoyable summer’s afternoon with Libby in the cool of her old house, studying the pages of proofs of dog photographs that line the walls, while she regaled us with the story of how it all began. “My husband Tony and I used to go to Kingsland Waste, where we had a friend who did house clearances, and in those days they sold old photo albums and threw away the pictures. 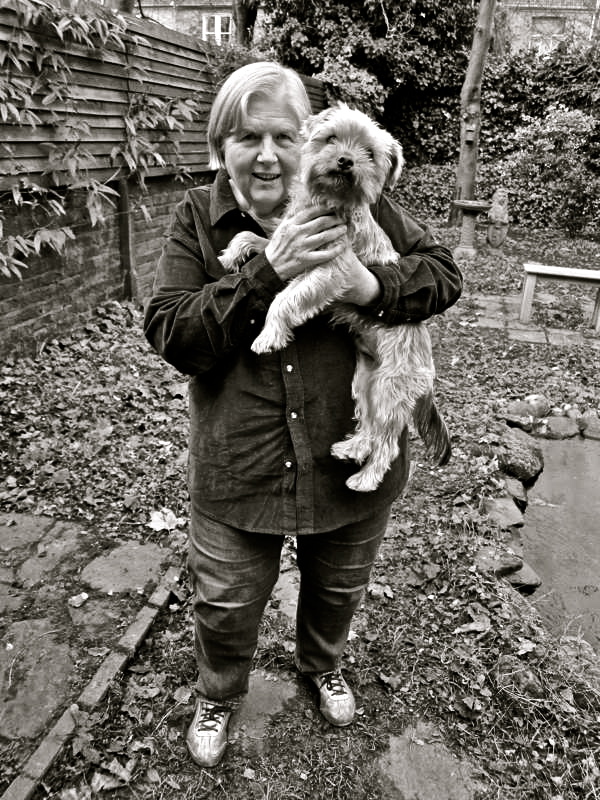 So I used to rescue them and I began sorting out the dogs – because I always liked dogs – and it became a collection. Then I started collecting properly, looking for them at car boot sales and auctions. And eventually a publisher offered me an advance of two thousand pounds for a book of them, which was fantastic, and when each of my books was published I just used the royalties to buy more and more photographs. I had a network of dealers looking out for things for me and they would send me pictures on approval. They were nineteenth century mostly and I only collected up until 1940, because I didn’t want to invade anyone’s privacy. 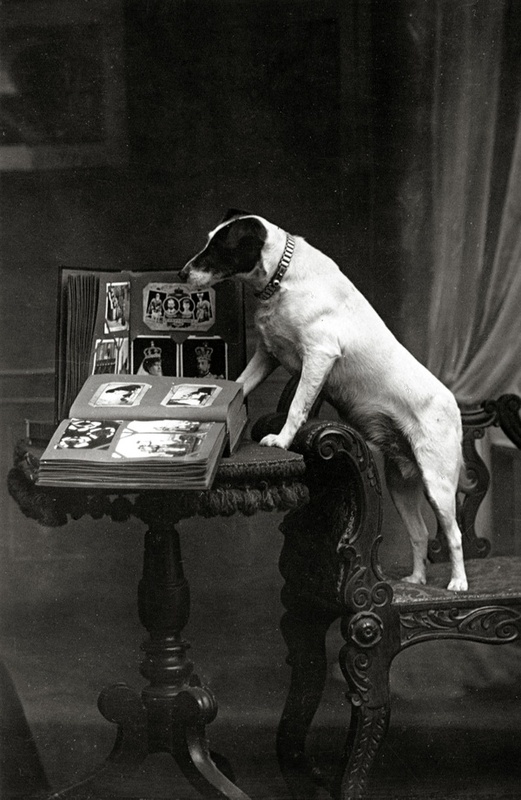 Noboby was interested until my first book was published in 2000, and afterwards people said I had shot myself in the foot because everybody started collecting them and they became very expensive, but by then I had between five and six thousand photographs of dogs. 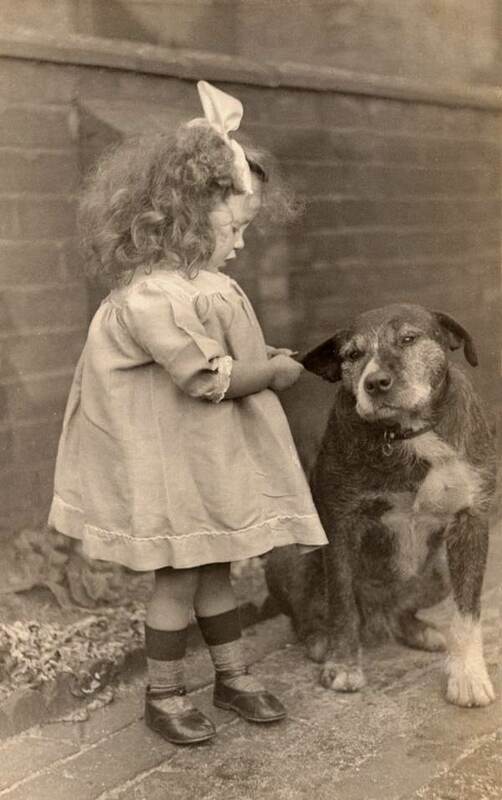 Dogs have always been powerfully important to me, I’ve lived with dogs since the beginning of my days. 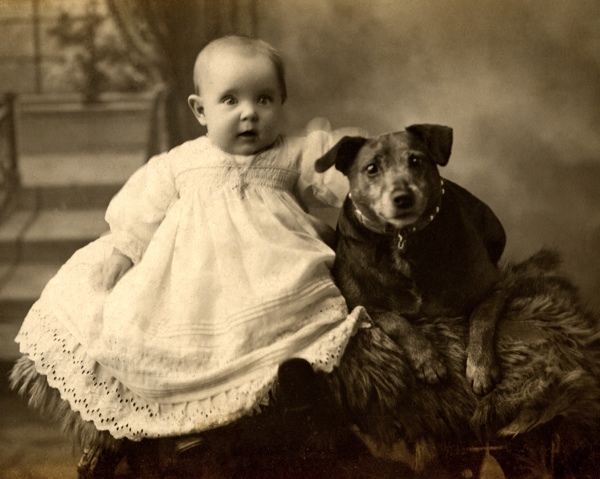 There’s a photo of my father holding me as baby in one arm and a dog in the other – dog’s faces were imprinted upon my consciousness as early as humans, and I’ve always lived with dogs until six weeks ago when my dog Pembury died. For the last month, friends have been ringing my bell and there’s only silence because he doesn’t come and I open the door to find them in tears. 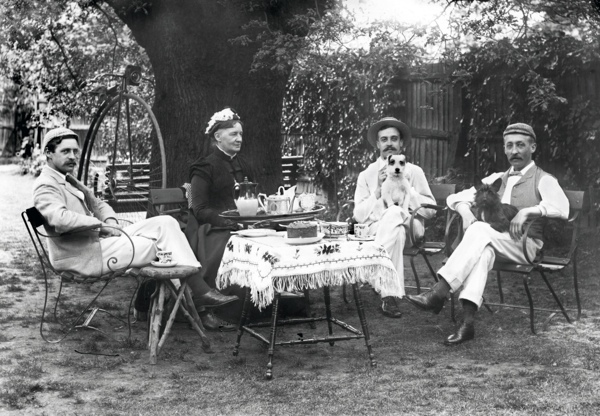 It was an intense relationship because it was just the two of us, Pembury and me, and as he got older he depended on me greatly. So it is good to have my freedom now but only for a little while. At one point, we had three dogs and four cats in this house. 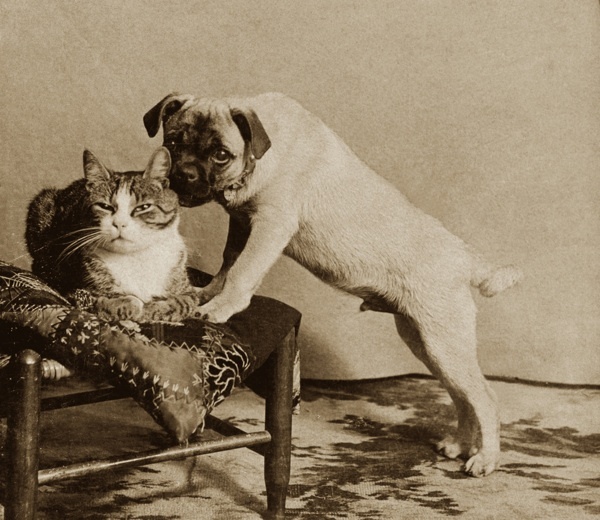 We even had a dog and a cat that used to sleep together, during the day they’d do all the usual challenging and chasing but at night they’d curl up in a basket. With touching generosity of spirit, Libby confided to me that her greatest delight is to share her collection of pictures. “What matters to me is others seeing them, I never made any money from my books because I spent it all on buying more photographs.” she said. 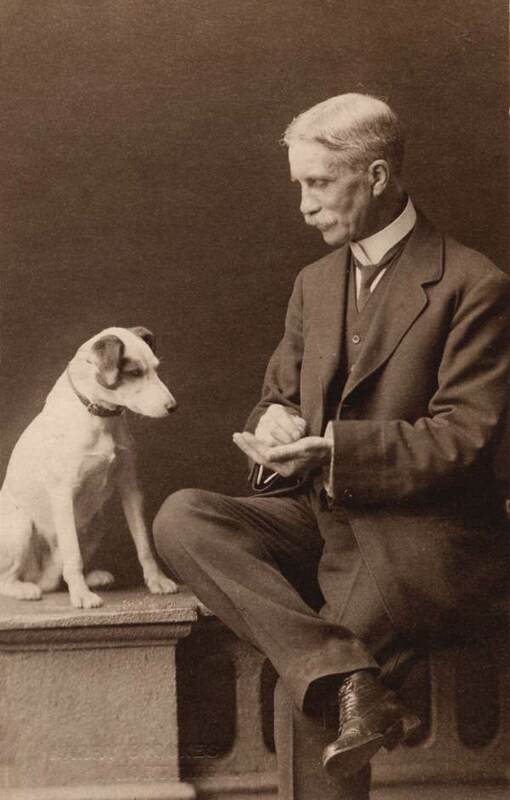 These photographs grow ever more compelling upon contemplation because there is always a tension between the dog and the human in each picture. The presence of the animal can unlock the emotional quality of an image of people who might otherwise appear withheld, and the evocation of such intimacy in pictures of the long dead, who are mostly un-named, carries a soulful poetry that is all its own. Bridging the gap of time in a way that photographs solely of humans do not, Libby’s extraordinary collection constitutes an extended mediation upon mortality and the fragility of tender emotions. Libby Hall plans to get a new dog in the autumn. The two stripes on this soldier’s sleeve meant he had been wounded twice and was probably on leave recovering from the second wound when this photograph was taken. 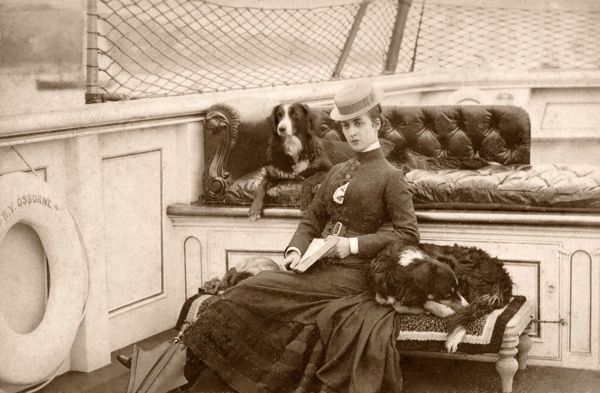 HRH the Princess of Wales with her favourite dogs on board the royal yacht Osborne. John Brown 1871. 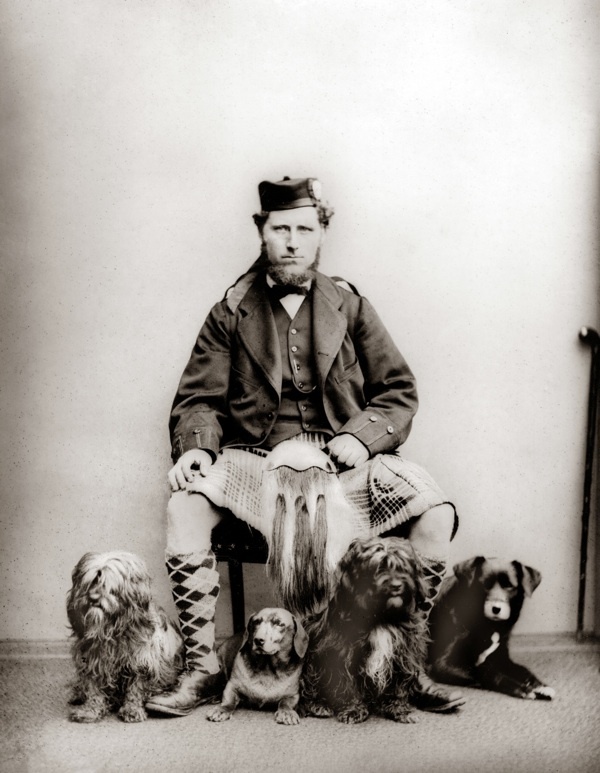 The dogs are Corran, Dacho, Rochie and Sharp, who was Queen Victoria’s favourite. 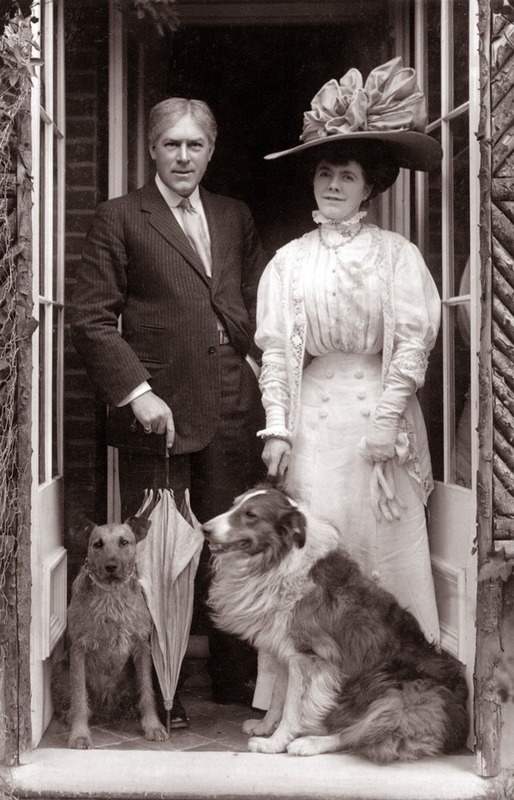 George Alexander, Actor/Manager, with his wife Florence. This photograph of Mick came with the collar he is wearing. Queen Victoria and Sharp (pictured above with John Brown) at Balmoral in 1867. 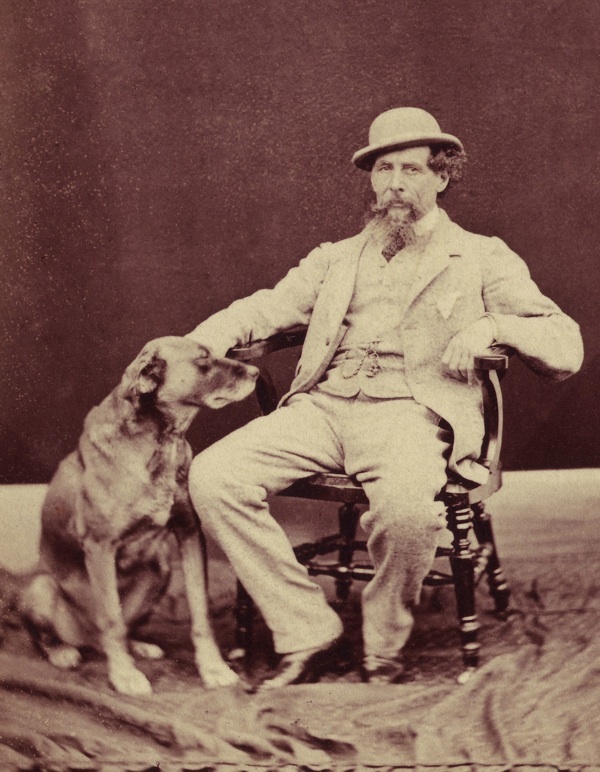 Charles Dickens with his devoted dog Turk. 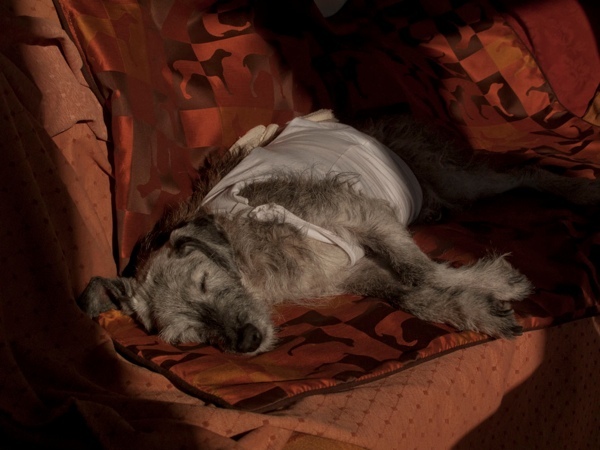 Libby’s recently deceased dog Pembury wearing the vest that was essential in his last days. Libby on the couch where Pembury died six weeks ago. 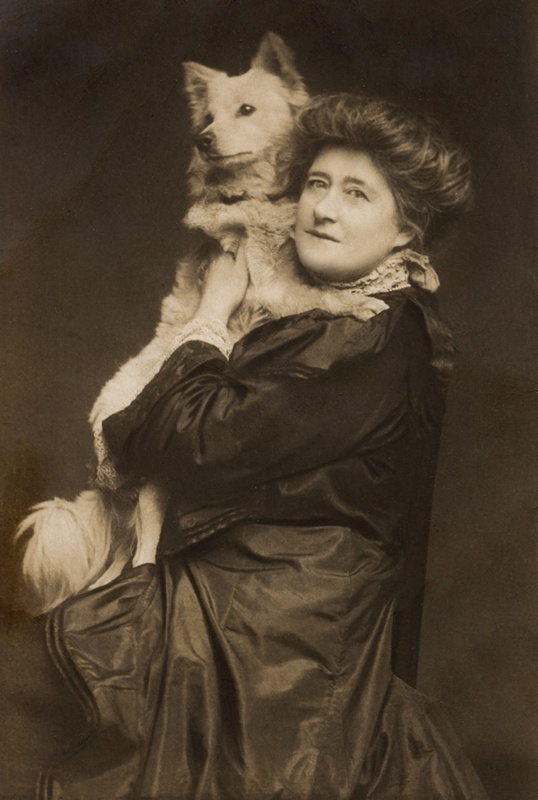 Updated in December 2012 - Libby Hall with her new dog Pip. 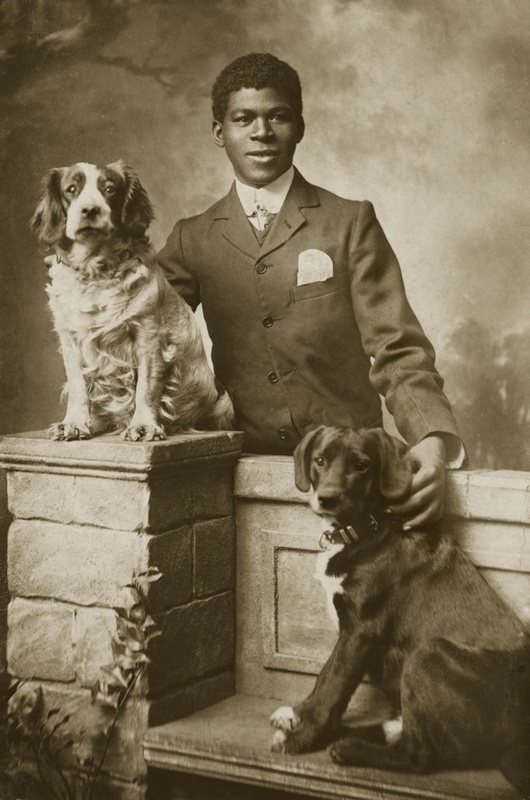 Libby Hall selected these favourite dog photographs from her books – Prince and Others, Prince and Other Dogs II, Postcard Dogs, Postcard Cats and These Were Our Dogs, all published by Bloomsbury. Very positive article – thank you for sharing Libby’s life, I am richer because of this. amor manet, ms. hall. love remains. Wonderful, Libby! Well done on the tattoo! What a wonderful lady! Watch the videos, the third one is stunning. brilliant post, thank you for keep unearthing these treasures. Dogs don’t care who you are or how rich you are. They will show the same loyalty to a tramp as to a king. Rank, race and religion are as nothing to them and all they want is your love and companionship in return. A warm blanket, a plate of food, a cuddle and the ocassional bone…. It’s what we all want… Well maybe not the bone! This is probably the best edition of Spitalfields Life that I have read. I am biased as I have had the pleasure of knowing Libby for quite a few years and have had a ‘cuppa tea’ from her at the same table. Although I cannot agree with Libby’s conclusions about resusitation (I have one patient who was resusitated for over two hours-outside hospital- and then went on to have a heart transplant over 16 years ago!) I do respect her wishes. I knew Libby before her husband Tony died. She cared for him in an exemplary way aided by the support of her GP and her neighbours. I wish my end will be in a similar way. 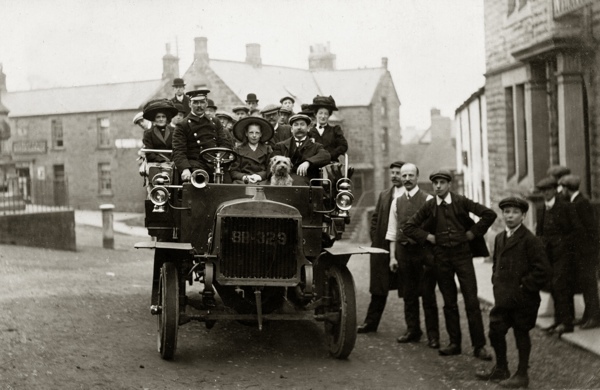 As for her collection of dog photographs it is truly remarkable. I am pleased she never turned her habits to Hackney! I trust the Kennel Club will guard over her unique gift. Many thanks for bringing Libby to us-congratulations on the clips. I believe that the names of Libby and Tony Hall will be taken together with that of Florence Bagust the Clapton Historian. I don’t mean, in the film about my tattoos, to give the impression I’m against all resuscitation under all circumstances. Why look at Fabrice Muamba who collapsed so spectacularly and distressingly during the FA quarter final, and who was actually able to run a bit of the torch relay only four months later. I’m against resuscitation for me at my age – and against resuscitation being carried out against a patient’s wishes. But how lovely to read Melvyn Brooks’s sweet comments. And what a treat it is to find myself a part of Spitalfields Life. I should perhaps declare an interest; we are neighbours and friends. 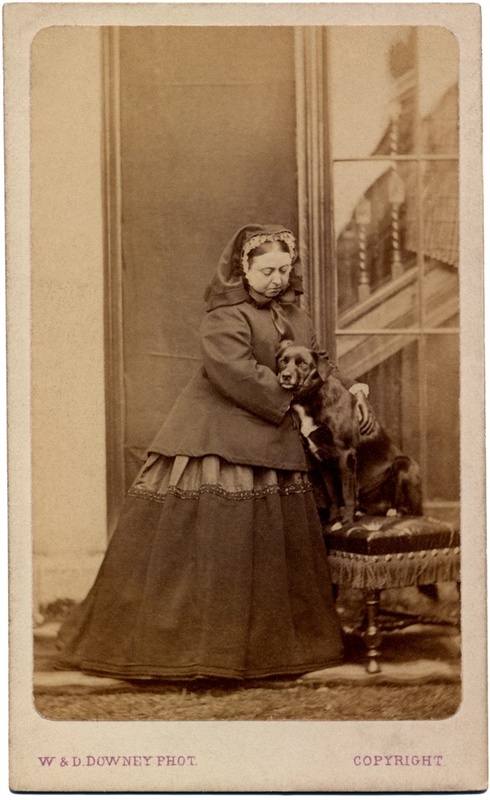 It’s always interesting hearing from Libby; I didn’t know the details of her dog-photo collecting – although we have copies of the books. So an interesting article indeed. Loved the photographs… what a brilliant idea! Thanks Libby. Thank you Libby for finding these treasures and making sure that they are shared with everyone for years to come. 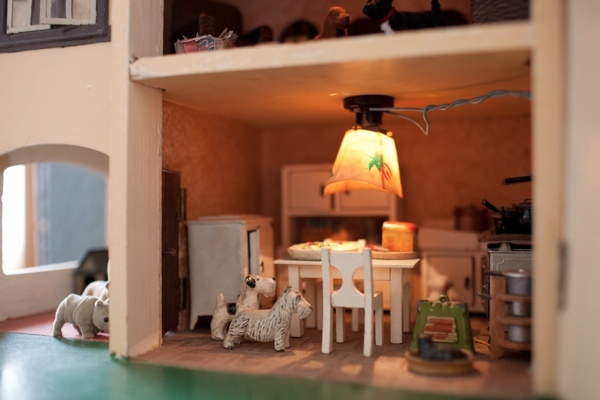 Some amazing photos and hard to believe that anyone would have thrown them away. Regards from Astoria, Queens New York. What a wonderful article – bundles of gorgeousness! A wonderful article. 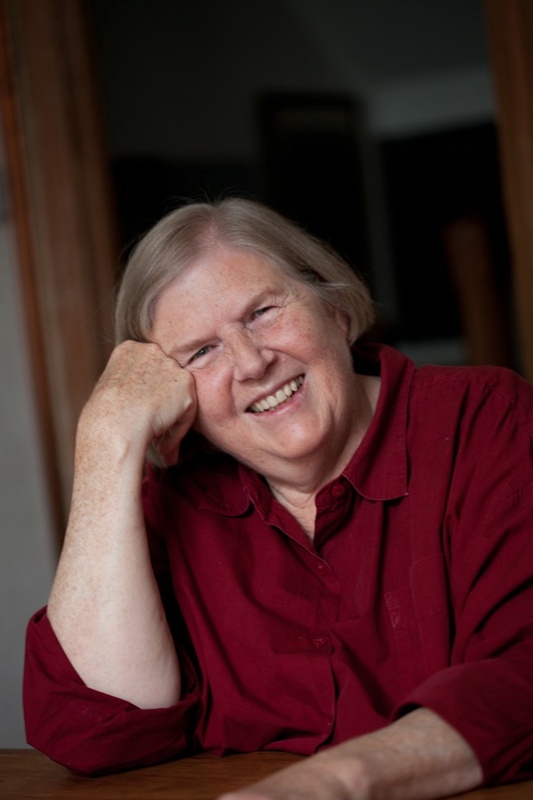 A remarkable Libby…so lovely to meet you in this way. The internet so amazing. Am hesitating about getting another dog after my dearest Daisy died last year but how could I not?? Lovely article…thank you for taking the time to write it. I wish Libby much happiness with her new furry companion. Good to see you got another dog. Would like to hear how you found Pip, and some of your other dogs as well. The video with you getting your tattoo was thought provoking. Thanks. 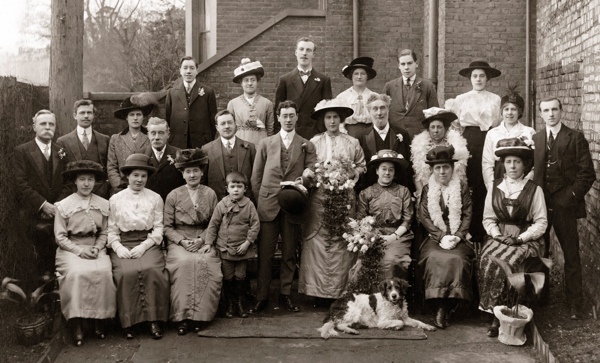 It is lovely for me that I have been able to share photographs via the amazing Spitalfields Life. Sharing the images has always been what the collection was about. In reply: – I found Pip via a charity called ‘All Dogs Matter’ http://www.alldogsmatter.co.uk/. I was very lucky because they were able to arrange for Pip to come directly to me on the day his previous owners handed him in. Pip was very thin with long nails and almost no muscle development. He was 19 months old and, I imagine, had been kept in a flat with very little time outside. It’s been wonderfully satisfying to have him turn into a sturdy, very active, little terrier. Almost all our previous dogs were rescues, but they just sort of ‘turned up’, or were handed on to us by word of mouth. Pip was the first rescue dog I actively searched for. I am a dog photographer from Poland, recently arrived in London. 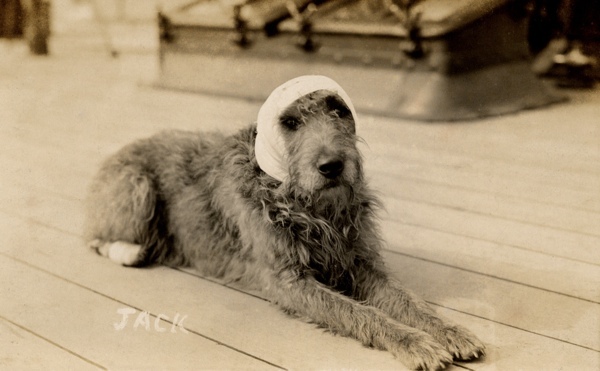 I just read the article and I am totaly amazed and delighted by what you accomplished collecting dogs photography. Is there any option we could meet for a chat ? Thank you Libby from Spain!!!! A great job!!! The pictures are wonderful!!! Hi Libby. Please excuse the post being here but I wonder if you can help me. Tony took a photo of me being arrested at the Poll Tax demonstration outside Hackney town hall in the early 90′s. He then went on to be a witness in my defence at my trial. Because of his help I was acquitted. He gave a copy of the photo which was sadly lost some time ago. . Id love to be able to see that picture again. Do you think it may be archived somewhere? 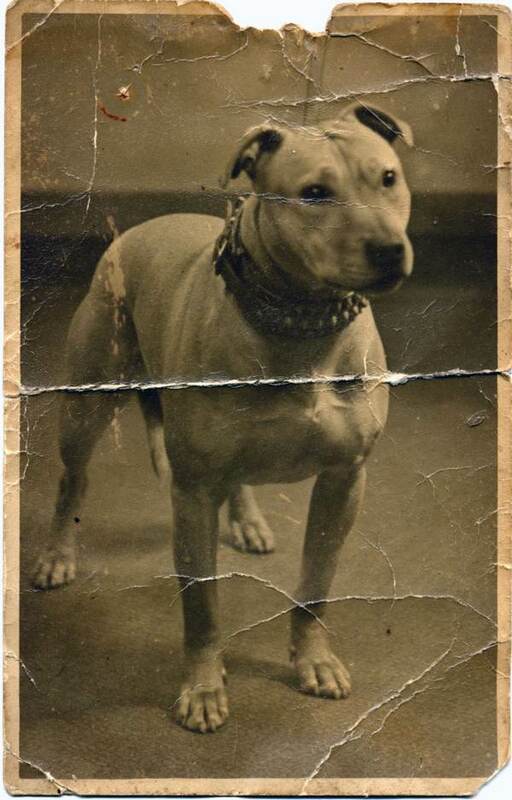 I love these photos….I have a picture of my Mom with her dog Super Suds in the late 30s…if you’d like to add it to your collection I’d be happy to send you a JPEG. Does anyone know how to find out who is in the photos? There is one photo Libby Hall has called “smilin” and the woman in the photograph looks exactly like me. 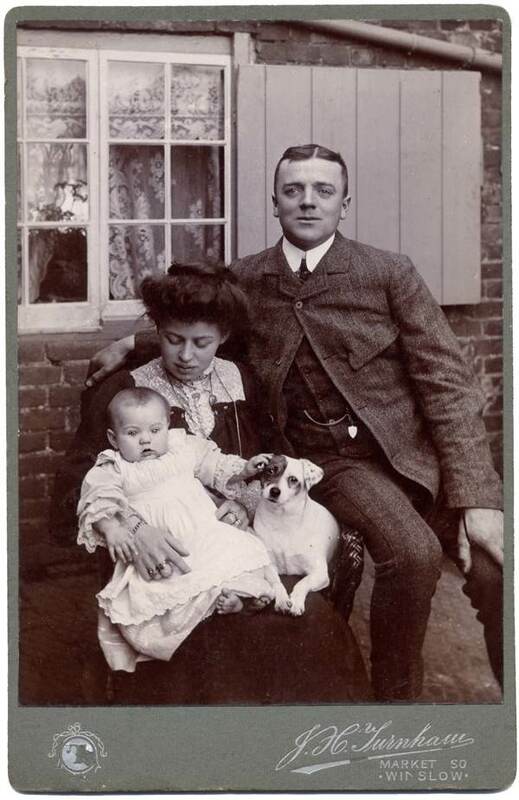 A friend of my husbands stumbled across the picture and I am curious to know if I’m related to the woman in the photo. Thought you might like to see a photo of my Dad, 1944 or 45 in Europe during WWII with a pup they named “Herman the German”. Just email me and I’ll attach the photo. My father was friends with Pete Garvan, the last owner of the most photographed cocker in the world, My Own Brucie. 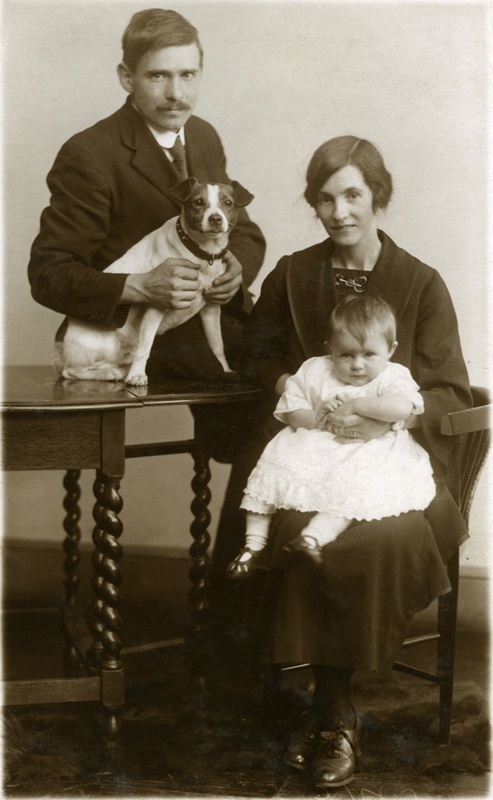 Both my parents and the Garvans bred and showed cockers for years. Do you happen to have any pictures of any of their dogs? Hi Libby. Long time no hear from or about. It’s Nicky from school. I have just come back from a w/end in suffolk and spent some time in the Engineers. They were very proud of the Guardian article and they hope to have some of the photos in the pub at some time. In a bizzar twist it turns out that the pub is now run by my cousin. Do drop me an e-mail and perhaps catch up some time. Thank you for posting these photographs . 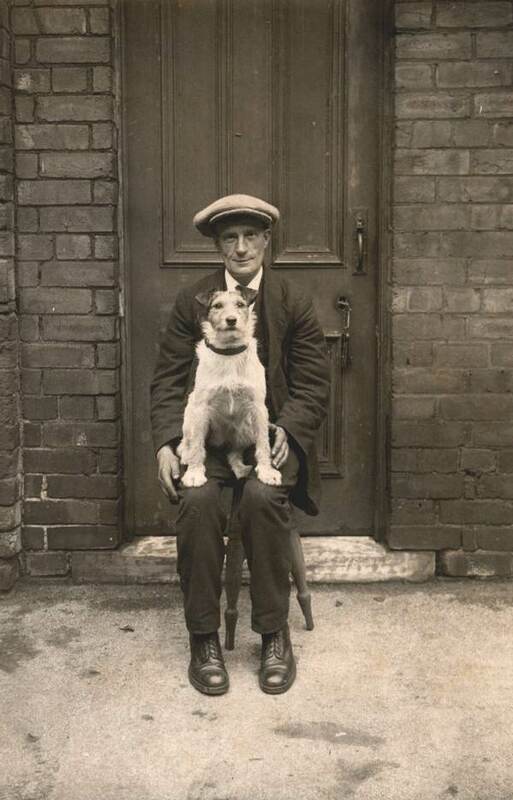 We recognise one of the dogs and its owner . 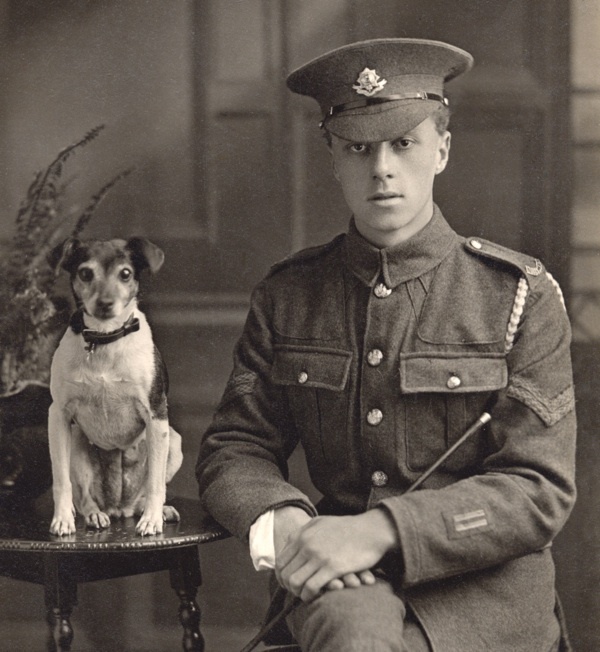 The soldier from the Worcestershire regiment is Sergt.Victor Andrews with William is dog . 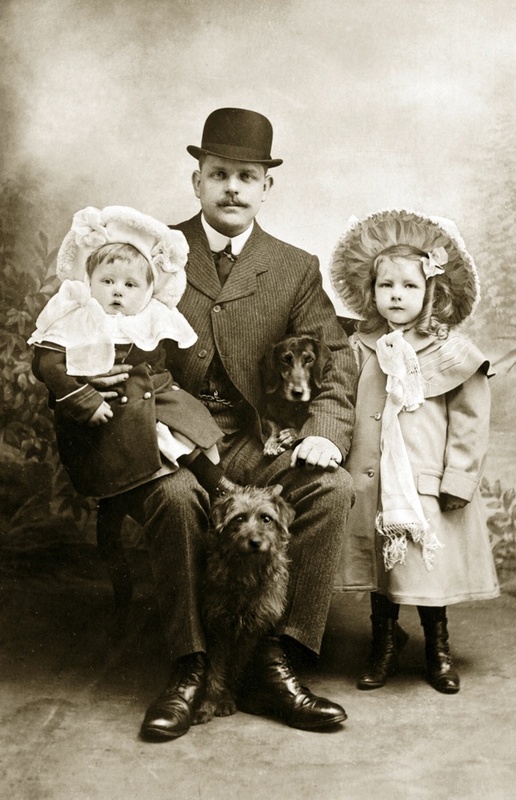 He is my husbands great great uncle . What a lovely surprise to see this lovely photograph . As a guide dog instructor with a great interest in history I was really suprised to see your book ‘These were our Dogs’. 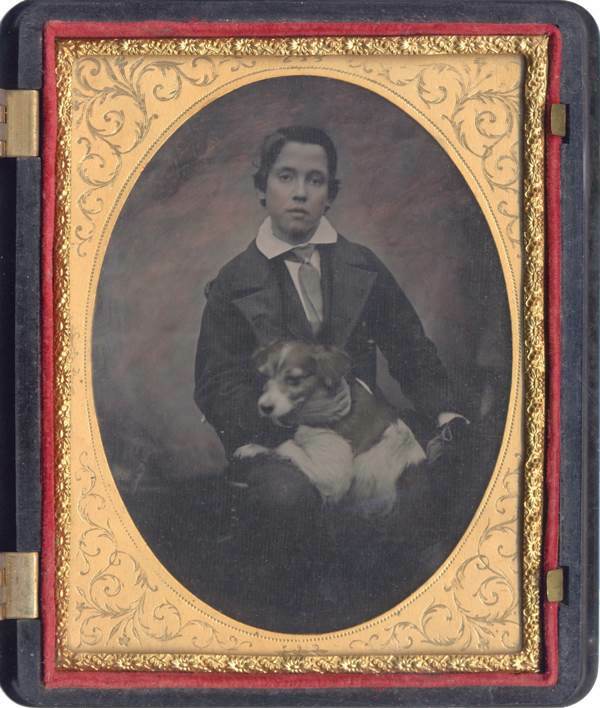 I am also a collector of old pics with dogs but my interest is limited to blind people. Last year I wrote a book about the 100 year history of guide dogs. Although the book is written in Dutch it maybe of great interest to you. Can you please send me your postal address and I will send you a copy of it.